A Stag Night can range from literally a night, though a weekend to a week. The venue could equally be as varied and could range from the local, pub to an event spanning several days thousands of miles from home. 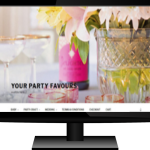 Hence the options are endless and so too are the options available for the special event. All day drinking to something perhaps a little more sobering. Whatever you choose, it is nevertheless a special day, and most of all a great get together with some of your closest friends and colleagues. So, you have organised all the main items such as the venue and possibly hotels and maybe flights or transport. While it probably seems like all is in hand, don’t forget that extra bit of team building. 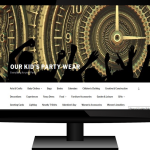 Get something to group you together in to the ultimate party unit. 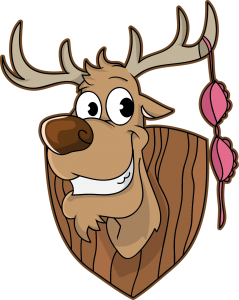 Yes – almost cedrtainly we are talking about stag night badges ! Our stag night badges are probably the simplest, cheapest and most effective finishing touch to any stag night. Get a photograph of the groom The more embarrassing the better. Send it to us and get it on badges for everyone. We can add all the nicknames that you want on each of the badges. there it is. You have created a simple talking point, and a focus for all the people that you will meet during the event. They all know you are on a celebration – and why – and also, most of all, which one is the stag. 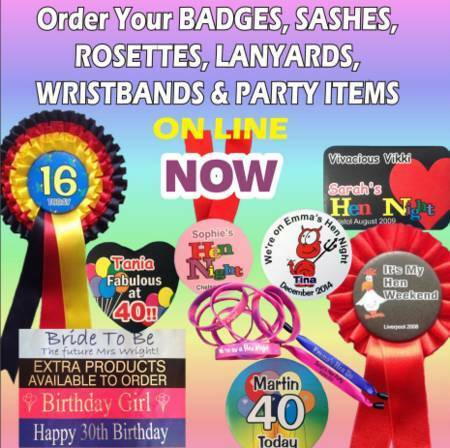 If it’s a larger party then our silicone wristbands are an option, or our printed lanyards. Below, you will see links to several of our other party sites, where there are plenty of options for fancy dress, which would go well with the badges. For the actual wedding day, you might be looking at things like gifts for Bridemaids and the Best Man. 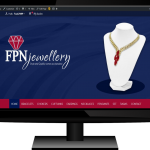 Our jewellery and party favour sites will help you here.